A new era in space flight began on April 12, 1981, when Space Shuttle Columbia, or STS-1, soared into orbit from NASA’s Kennedy Space Center in Florida. The National Aeronautics and Space Administration is responsible for unique scientific and technological achievements in human spaceflight, aeronautics, space science, and space applications that have had widespread impacts on our nation and the world. Forged in response to early Soviet space achievements, NASA was built on the National Advisory Committee for Aeronautics and other government organizations, as the locus of U.S. civil aerospace research and development. When NASA opened for business on Oct. 1, 1958, it accelerated the work already started on human and robotic spaceflight. NASA’s first high profile program was Project Mercury, an effort to learn if humans could survive in space. This was followed by Project Gemini, which used spacecraft built for two astronauts to perfect the capabilities needed for the national objective of a human trip to the Moon by the end of the 1960s. 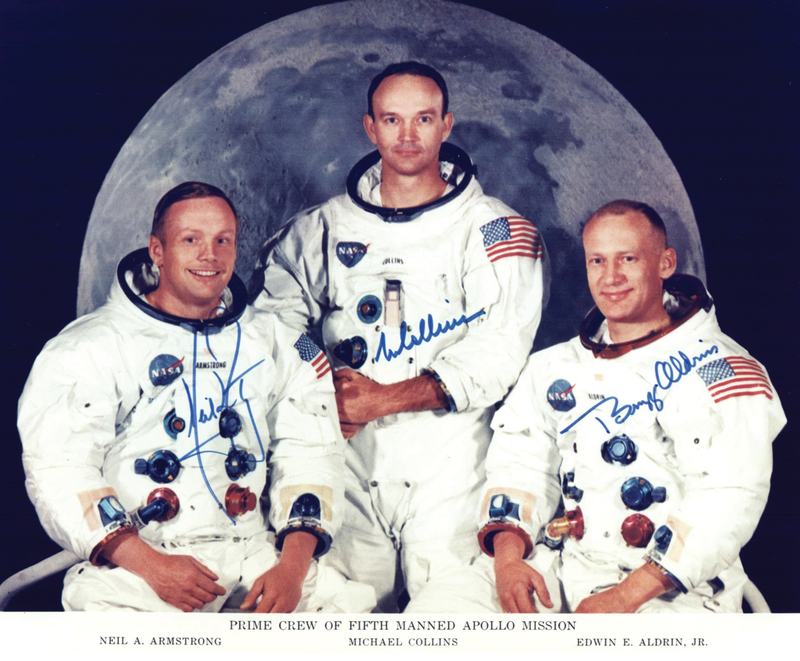 Project Apollo achieved that objective in July 1969 with the Apollo 11 mission and expanded on it with five more successful lunar landing missions through 1972. 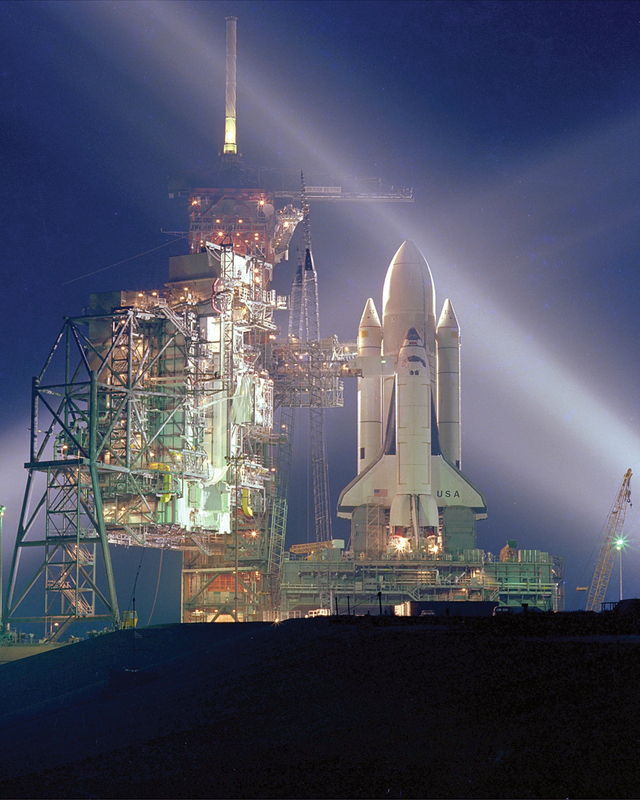 After the Skylab and Apollo-Soyuz Test Projects of the mid-1970s, NASA’s human spaceflight efforts again resumed in 1981 with the Space Shuttle program that continued for 30 years. The shuttle was not only a breakthrough technology, but was essential to our next major step in space, the construction of the International Space Station. Over the last 60 years NASA has continued to push the boundaries with cutting edge aeronautics research that has dramatically changed the way we build and fly airplanes. NASA has also completed the reconnaissance of our solar system, with intense investigation of all the planets. 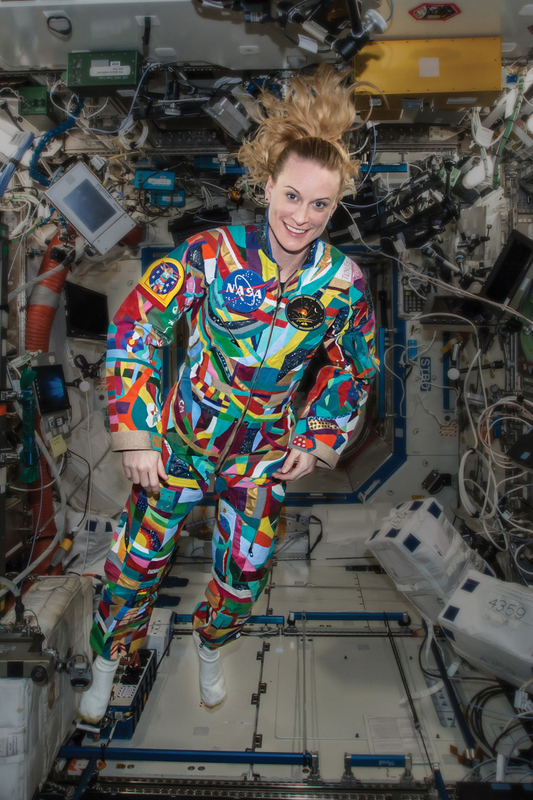 Using orbital spacecraft like the Hubble Space Telescope, NASA has also dramatically changed our understanding of the universe around us, as well as our own planet. NASA’s early work on launch vehicles, communication satellites, and weather satellites has fundamentally changed daily life and created whole new industries. As a catalyst for international cooperation, NASA has also changed how and why humanity conducts space exploration. Now, NASA is preparing to take humankind farther than ever before, as it helps to foster a robust commercial space economy near Earth, and pioneers further human and robotic exploration as we venture into deep space. The NASA History Office Program publishes a quarterly newsletter, as well as an array of books (print and digital), hosts social media, provides fellowships, and runs the Historical Reference Collection (our version of an archive) to assist the public in finding more information on aeronautical and space history. In addition, the staff produces the Aeronautics and Space Report of the President. The National Aeronautics and Space Act of 1958 directs NASA to produce an annual report that includes a “comprehensive description of the programmed activities and the accomplishments of all agencies of the United States in the field of aeronautics and space activities” during the preceding year. 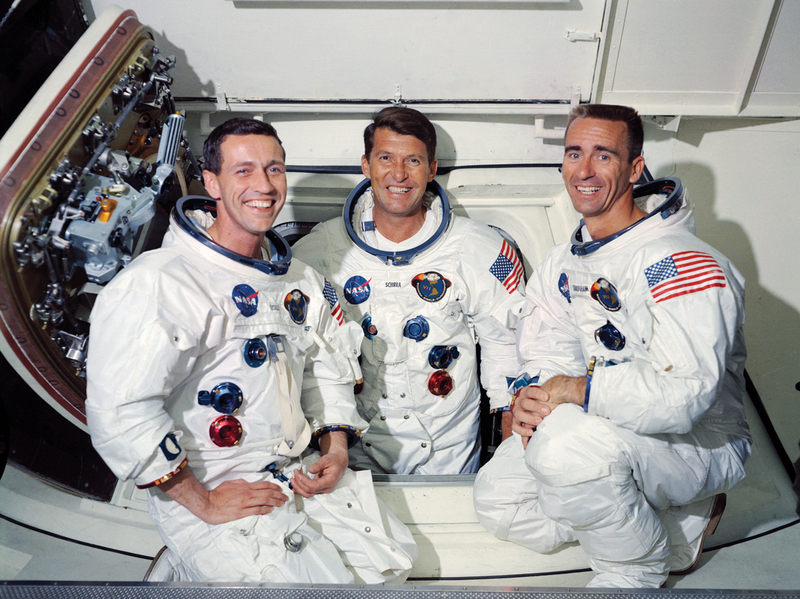 On Oct. 11, 1968, three American astronauts launched to Earth orbit aboard Apollo 7. It was the first piloted mission of the spacecraft designed to meet President John F. Kennedy’s challenge to land on the lunar surface. The 11-day flight took place as the race to the Moon was heating up between the United States and the Soviet Union. A month earlier, the Soviets launched the unpiloted Zond 5, a simplified version of their Soyuz spacecraft designed for cosmonauts. 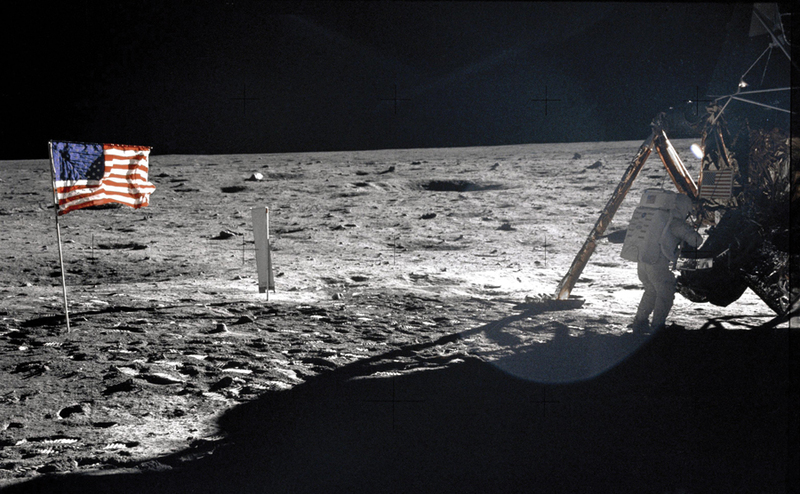 The capsule became the first to circle around the Moon and return safely to Earth. Both nations also were recovering from tragic losses. Three Apollo 1 astronauts perished in a launch pad fire on Jan. 27, 1967. That same year, the lone cosmonaut aboard Soyuz 1 died when the spacecraft crashed on April 24. 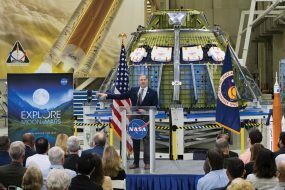 Following almost two years of Apollo spacecraft redesign and testing, Paul Donnelly, Launch Operations manager at NASA’s Kennedy Space Center in Florida, expressed confidence in the men and women who worked tirelessly to prepare for the flight. Serving as commander of Apollo 7 was NASA veteran Wally Schirra, a U.S. Navy aviator and captain. He flew Mercury 8 on Oct. 3, 1962, and commanded Gemini VI on Dec. 15-16, 1965. Schirra was joined by two members of the third astronaut class, both making their first spaceflight. Command module pilot Donn Eisele was a U.S. Air Force colonel and test pilot. Walt Cunningham had been a colonel and fighter pilot in the U.S. Marine Corps Reserve. Although there was no lunar module on this flight, as the third member of the crew, Cunningham was designated LM pilot. Following a flawless liftoff atop a Saturn 1B rocket from Launch Complex 34 at Cape Kennedy (now Cape Canaveral) Air Force Station, the command-service module (CSM) separated from the second stage. Eisele then practiced a simulated LM docking. During launch with a LM, it would have been housed inside the adapter between the second stage and the CSM. A key objective of Apollo 7 was testing spacecraft systems, especially the crucial service propulsion system (SPS) engine at the base of the spacecraft. On lunar missions, the SPS would be used to place the spacecraft in lunar orbit and later, fire the crew on a trajectory back home. On Earth orbital flights, the SPS would be fired to slow Apollo for reentry. The first test of the powerful SPS took place on flight day two. When it fired with 20,500 pounds of thrust, Schirra radioed that it was a real kick. George Low, manager of the Apollo Spacecraft Program Office at NASA’s Manned Spacecraft Center (now Johnson Space Center) in Houston, later noted that all eight firings of the SPS went extremely well. Another goal was broadcasting live television from the spacecraft. Three days after liftoff, the Apollo 7 camera was turned on, allowing Mission Control and viewers around the world to watch the crew in orbit. The crew fired the SPS engine on Oct. 22, splashing down in the Atlantic Ocean eight miles from the recovery aircraft carrier, the USS Essex. Lt. Gen. Samuel Phillips, director of NASA’s Apollo Program Office, considered Apollo 7 a perfect mission. Tags: 60th Anniversary of NASA, Aerospace, Apollo 7, Bay Area Houston Magazine, Donn F. Eisele, NASA, NASA’s Kennedy Space Center, Space, Space exploration, Walter Cunningham, Walter M. Schirra Jr.